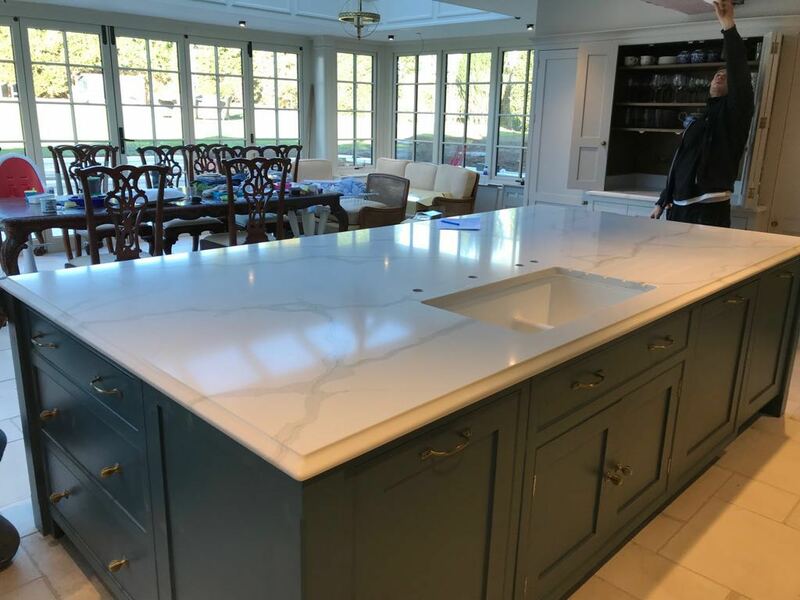 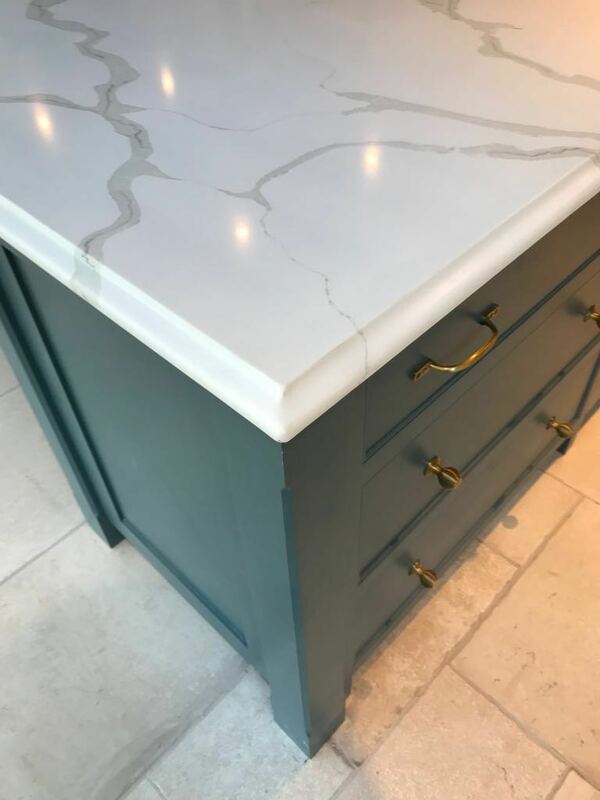 Mr P was looking for a marble work surface initially when he spoke to us over the phone, however when he visited the showroom both him and his wife fell in love with the Calacatta Marble Effect Quartz. 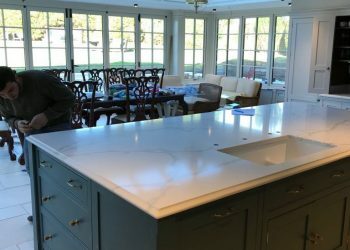 The kitchen was to be open plan, with an island, and contemporary shaker style doors. 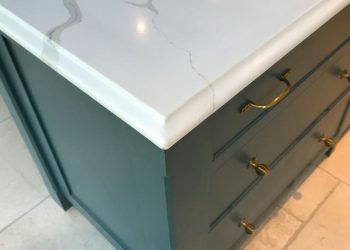 The finished effect has created nothing short but a “wow” factor. 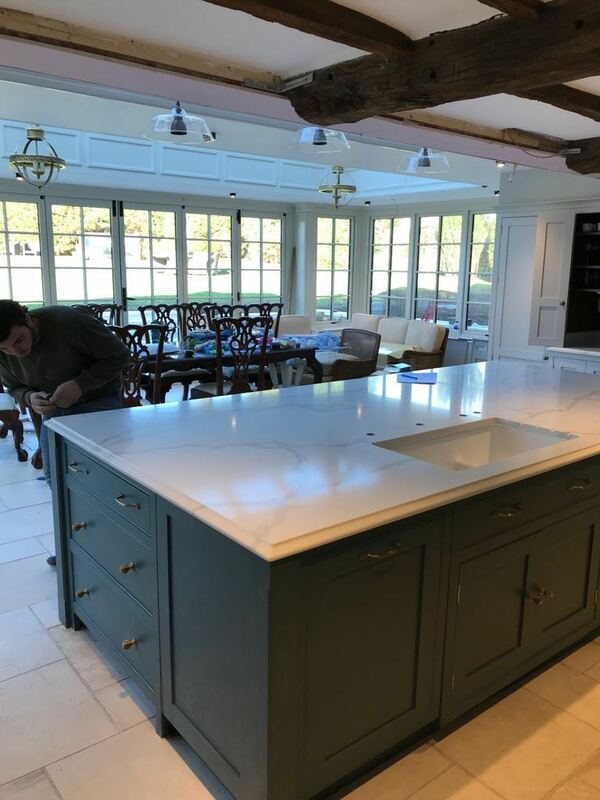 Mr P thanked us, and said that all his friends which he had over for a party loved the kitchen with the star being the marble effect worktop!